Come check out some of Poly's most talent independent musicians. Senior Orion Sundstrom playing the drums. Though classically trained, Ross hopes to leave his mark in the jazz world as an innovative pianist. Sam Ross is a jazz pianist who has played for a large majority of his life. Classically trained since he was nine, Ross was first exposed to jazz here at Poly. After playing jazz music with fellow Poly musicians under teacher Chris Stevens, Sam didn’t look back. “Jazz is my main thing. I feel I can express myself in ways that other genres [of music] haven’t done for me.” said Ross. Sam is also very dedicated to music. “I would say that 75% of my life is music: playing, practicing, and listening to it,” said Ross. Although Sam is an adept solo pianist, most of the gigs he does are with friends. “My favorite musical memories have to be playing the Gardenia Jazz Festival with the Poly Jazz Combo 1 last year in front of thousands, booking a concert in Bixby Knolls in front of 300, or playing at the Seabird Jazz Jam with Chris Stevens, Barry Cogert, and Dave Moody,” said Ross. Sam’s musical expertise is reflected in his personal taste in music. “A lot of people hear mainstream commercial jazz, most of which has this ‘samey’ quality. There’s a lot more depth to the jazz genre than the masses are aware of,” said Ross. Some of Sam’s musical idols are Ray Charles, Oscar Peterson, and King Missile. His favorite song is ‘I Wish’ by Stevie Wonder. 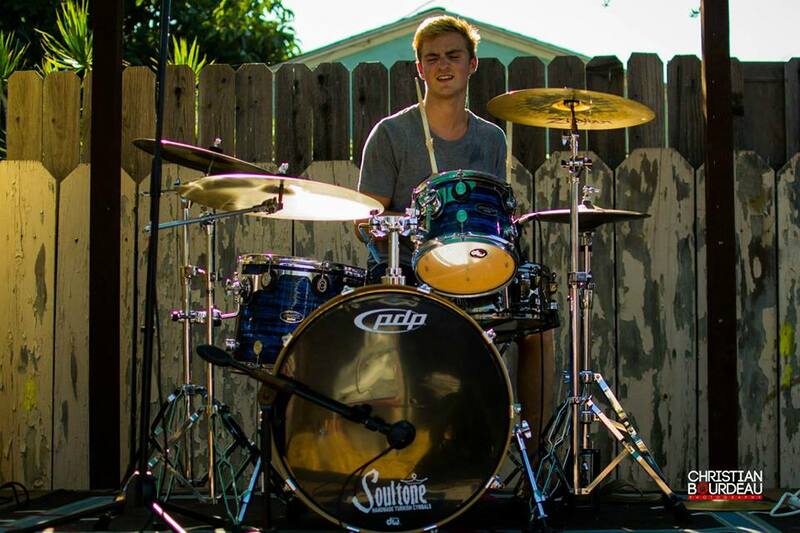 Sam plans to keep performing and playing jazz into his college career. “I’m not sure what the future has in store for me but I know I’ll still be playing jazz,” said Ross. Influenced by Jimi Hendrix and an awkward show on New Year’s Eve, Mena wants to become the next big thing. Marcos Mena is everything musical plus more. Playing any sub genre of rock (such as surf, indie, alternative, etc.) 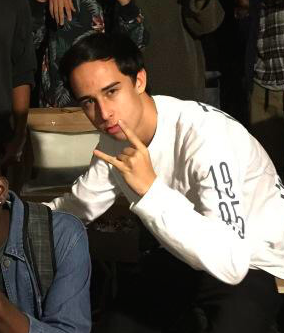 and mastering the guitar, bass, and drums, this senior at Poly is all over the Long Beach music scene. Since age five, Mena has always had a strong passion for music. His influences include the legendary Jimi Hendrix and local musicians he has encountered. After playing countless shows with many bands and musicians in Long Beach, he has grown to love the experience of composing and playing his own music. “Performing live is great because you can influence other people’s emotions, [and] the power you have to make someone else feel things words could not make them feel is immense,” said Mena. With several successful shows under his belt, Mena often recalls his first show, a performance with a rock band, which didn’t turn out at all as planned. “I played in a backyard on New Years Eve in 8th grade and it was god-awful. Although I was initially upset, it became my favorite moment because [it] taught me that music is a life long journey that requires patience and hard work,” said Mena. His hard work is definitely paying off. 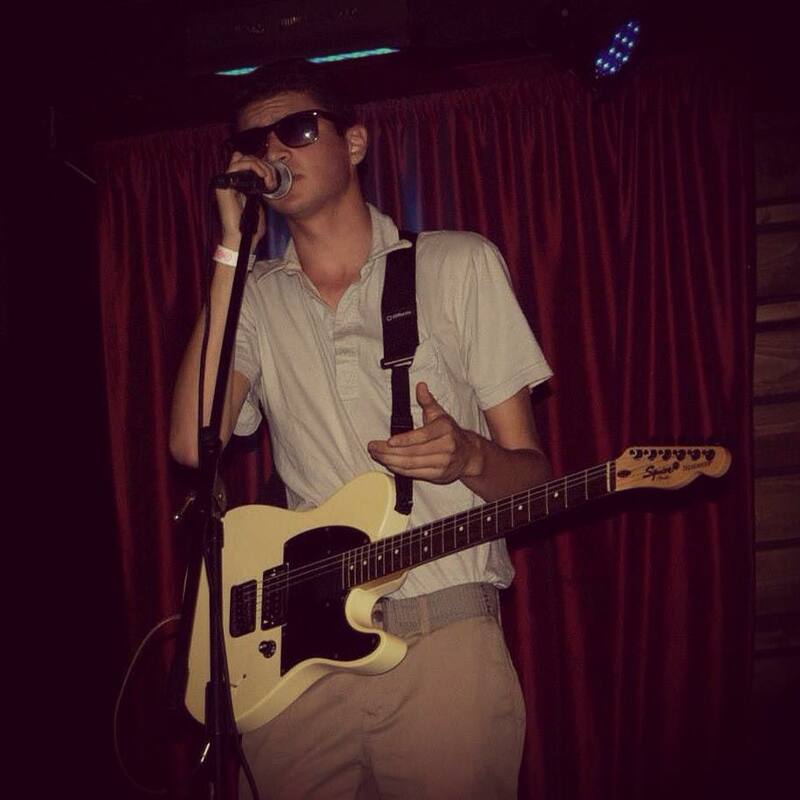 He is currently a part of Fashion Party, a band he started with fellow Poly students Evan Schaid and Andrew Schenker. With songs already recorded in their home studio, the band plans to take it to the next level in late December and record songs in a professional studio for wide release. Fashion Party is also setting up many shows for next year with bands associated with Burger Records, and is searching for a spot on the Insidelands lineup, a small indie rock festival in Los Angeles. “It’s going to be a great year and I can’t wait,” said Mena. Marcos Mena’s music experience has been a riveting one, and with so much more excitement and success on the way. Commonly known as Cavalier, Cleaveland is taking Soundcloud by storm through his upbeat music. 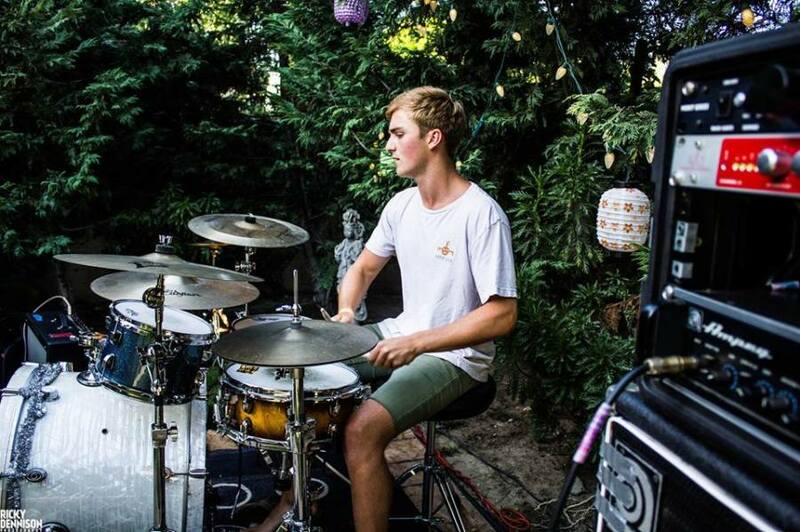 Tyler Cleaveland is taking the music industry by storm as the face behind Cavalier Beats. 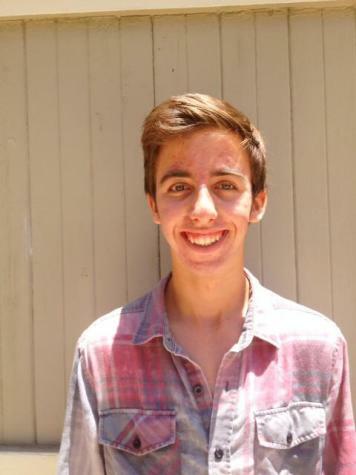 His interest began in the second grade when he first took piano lessons, and his passion has only grown since then. Cleaveland began to take his music seriously in 2014 after many pleas by his friends to pursue making music. “I loved it, but it was only this year that I started making music because I got a positive reaction from [my music],” said Cleaveland. His entry into the music world marked the beginning of a successful career; in the span of a few months, his popularity has grown tremendously. He has over fourteen thousand followers on his Soundcloud and has been the subject of many interviews. “It’s surprising… it all kind of happened very quickly,” said Cleaveland. His favorite genres include trap, future bass, and electronic, and his favorite artists include Kanye West and Cashmere Cat. Cleaveland says he receives the most support from his friends. “They have been supportive of me and they have encouraged me to take my music further,” said Cleaveland. He recently released a new EP called Pietà, which includes six tracks and multiple collaborations. With his growing success, Cleaveland is poised to make his mark in the music industry soon. 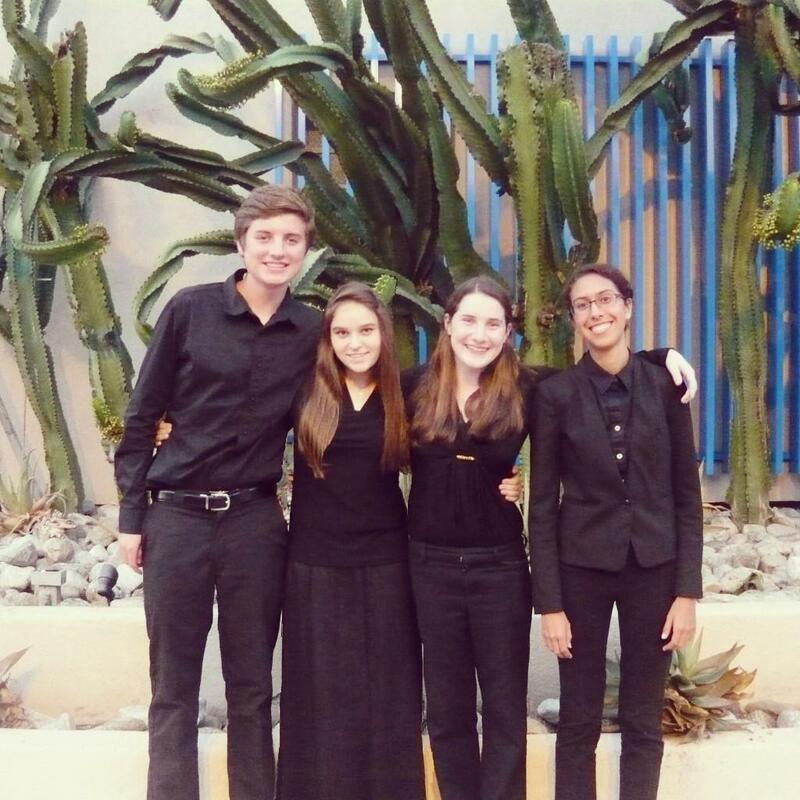 A budding instrumental quartet of junior hopes to explore the realm of classical music. Hidden among the indie rock groups and performers on Poly’s campus is the Calithos Quartet. With all members currently enrolled in the PACE Academy, one could imagine the busy schedule that its members have to battle through on a typical week. Even so, its four members, juniors Timothy White, Lizzy Robinet, Sofia Salcedo, and Erin Osman still manage to find a way to fit in three hours of practice per week, seamlessly collaborating on new pieces. With Robinet and Osman playing the violin, White playing with a viola, and Salcedo playing the cello, these four juniors make up this classical music quartet formed during their freshman year. Calithos Quartet, a name White says was quickly thrown together, is working towards being able to play multiple recitals and perform their own pieces in the future. They are well on their way to achieving their goals, seeing as they have already performed at the Renaissance Hotel, Ranchos Los Cerritos, the Museum of Latin American Art, and for prospective Long Beach Poly ninth graders at Poly’s Choice Night. In fact, the talented group of juniors is in the midst of arranging a performance as a featured group in the lobby of the Long Beach Symphony. The Calithos Quartet is among many popular musician groups on campus, but it is one of the only classical groups, making them stand out distinctly from the crowd. According to White, the group’s favorite piece to play together is the American String Quartet by Dvorak. As one, the quartet is juggling instrumental concerts along with gigs in the area. Look out for the Calithos Quartet and get ready to hear more about these four musicians! A diehard fan of The Foo Fighters, Sundstrom wants to take his band, Vox Amoris, to new heights. As the drummer of a band with several songs and two EPs released, Orion Sundstrom is one of the many successful musicians at Poly. Growing up with a guitar-playing brother, Sundstrom took up the drums in 3rd grade, and his music career took off from there. Loving his “good ol’ rock” genre, he cites The Foo Fighters and Bloc Party as his main influences. “Whenever I see anything involving Dave Grohl of Foo Fighters, I get really pumped up about playing music,” said Sundstrom. He loves playing music because he loves listening to music: ”Playing gives you a chance to create what you would want to hear,” said Sundstrom. “Plus it’s just fun.” Sundstrom is currently the drummer of Vox Amoris, a Long Beach band with his older brother Alex and his friend Johnathan Eastly, both of whom were former Poly students. Vox Amoris has two EPs already recorded and released on iTunes, a big accomplishment for the band. “I remember sitting in the studio and listening to our new recordings for the first time… it was definitely a proud moment,” said Sundstrom. Vox Amoris also performs in local venues. Playing some random friendly shows around Long Beach in between recording in the studio is right where this Poly senior/band member wants to be. “I have some pretty great memories of just playing in front of people. You can feel when they are really into it and it makes everything awesome,” said Sundstrom. His band Vox Amoris intends to hit the studio once again to try and record a full length album. “We have over 40 songs that we love playing but haven’t gotten the chance to record, so hopefully that takes place in the near future,” said Sundstrom. rion Sundstrom’s career in music has been stimulating and successful, and it has no intentions of slowing down.